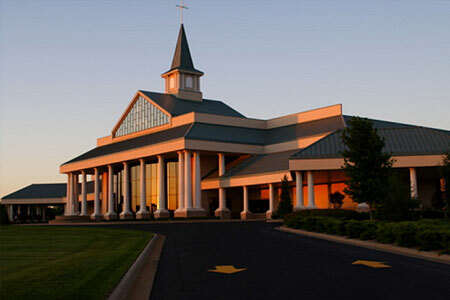 Churches see a lot of visitors throughout the year, which means it’s important for churches to not only have enough parking for these visitors, but to also have parking that’s smooth, level, and free of damage. No matter what your church paving need, our experts are here to handle it quickly and professionally. Cracks, holes, divots, and other paving damage can not only be frustrating to drive on, but they can also be dangerous to both cars and individuals. If the quality of your church paving is compromised, the last thing you want to do is leave it unaddressed – even the smallest signs of damage can quickly turn into larger issues. Let our paving experts help. We offer patching and resurfacing services that can restore the quality of your parking lot and leave churchgoers happy. No matter what the religion, churches can grow in popularity at a fast pace and if you only have one parking lot to accommodate all of your visitors, you may be in trouble. At Mr. Pavement, we can help you design the perfect parking lot for additional church visitors. We’ll make sure that it’s large enough and that it’s installed quickly so your members can use it as soon as possible. No matter which church paving service you’re in need of, you can be sure that your paved area will be made from the highest quality materials and will last for years to come. 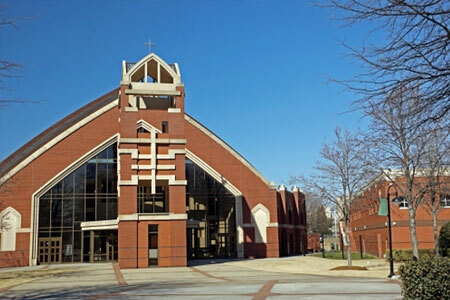 For all of your church paving needs, turn to the experienced professionals at Mr. Pavement. We’ll get the job done right.